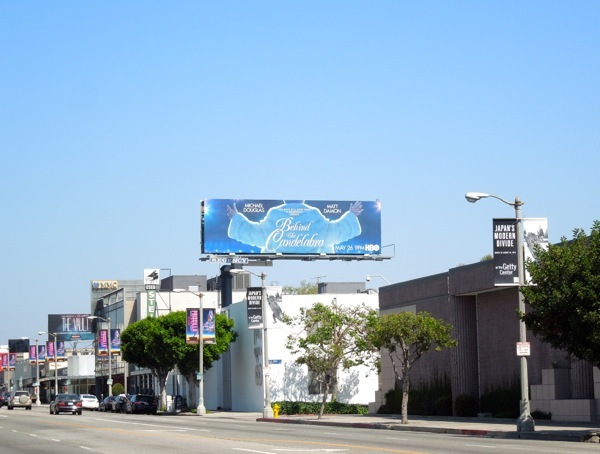 Now this is the way to start the week, with a bit of razzle-dazzle. 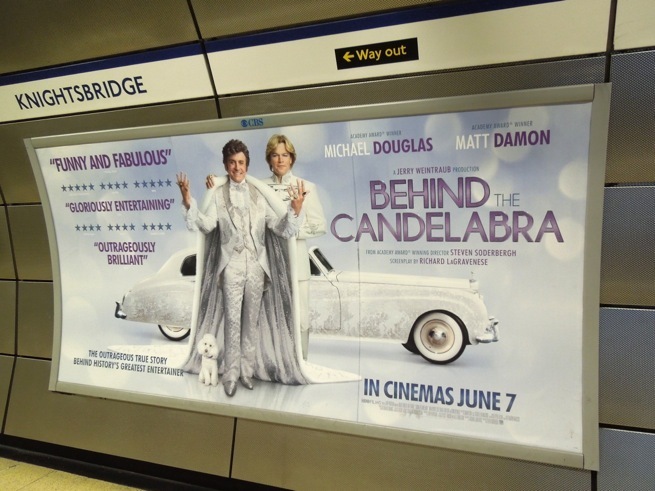 And who better to supply it than the king of glitter and sparkle himself, Liberace. 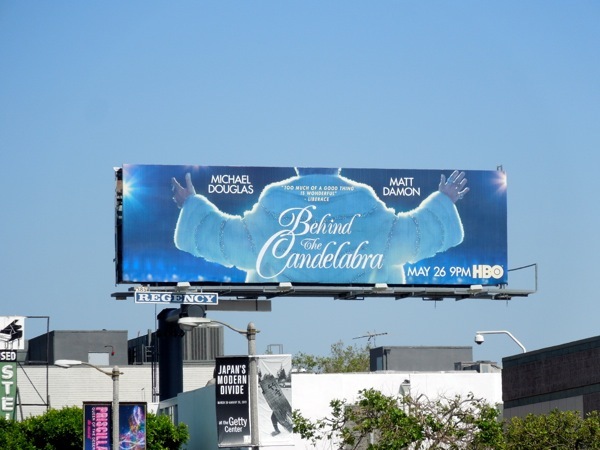 In fact it's Michael Douglas who dons one of the legendary showman's trademark embellished robes, plus countless crystals, feathers and furs in his portrayal of the showbiz icon in this tale based on the real-life story behind the glitz and glamour. 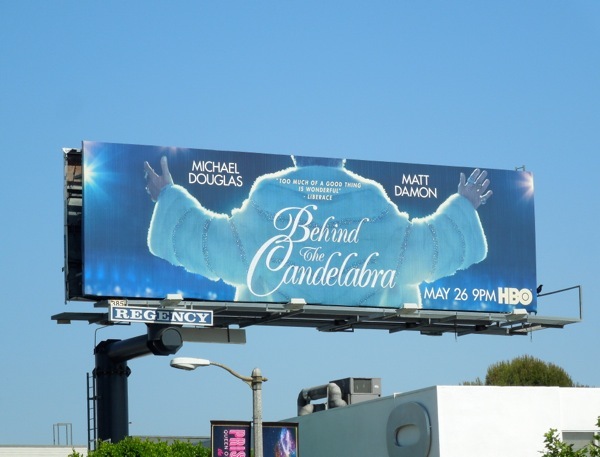 This really is the perfect imagery to evoke the over-the-top performer who was known the world over. 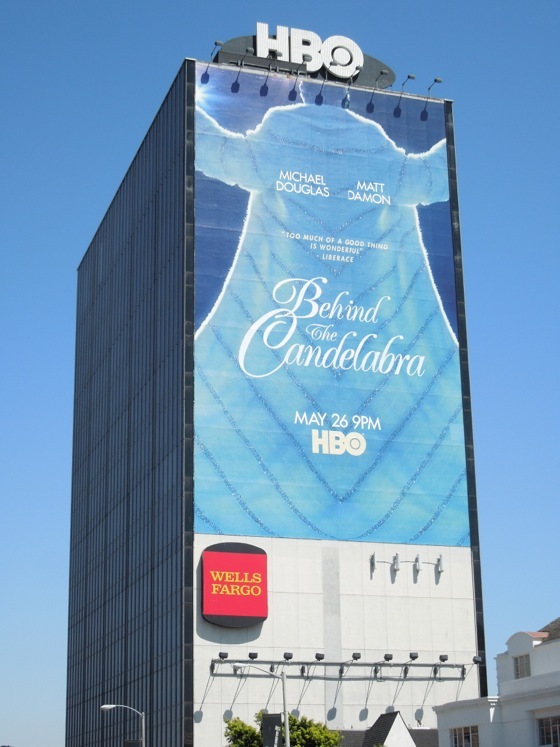 This HBO story explores the romance between the flambouyant and closeted pianist-comedian and Scott Thorson (played by Matt Damon in a thong no less), a naive foster kid 39 years his junior who is enticed into his showbiz world. 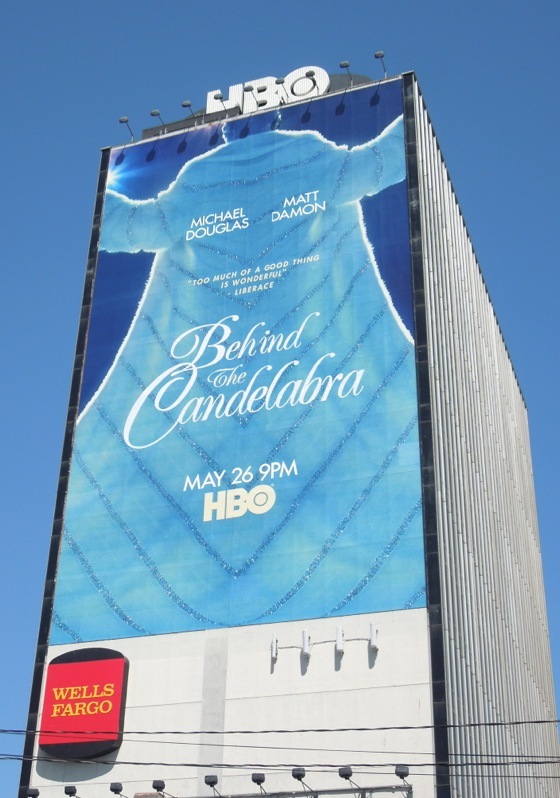 The glittering tale of over-indulgent opulence, plastic surgery, lies and lavish lifestyles begins when Liberace is reigning supreme in Vegas in the late 70's, through to his death of AIDS in 1987. 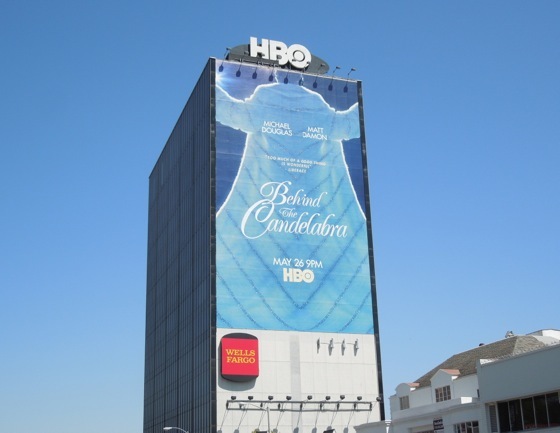 The HBO film promises to be as captivating as the showstopping outfits the extravagant entertainer wore and these fabulous billboards are a vision in themselves, and they certainly put a smile on Daily Billboard's face. 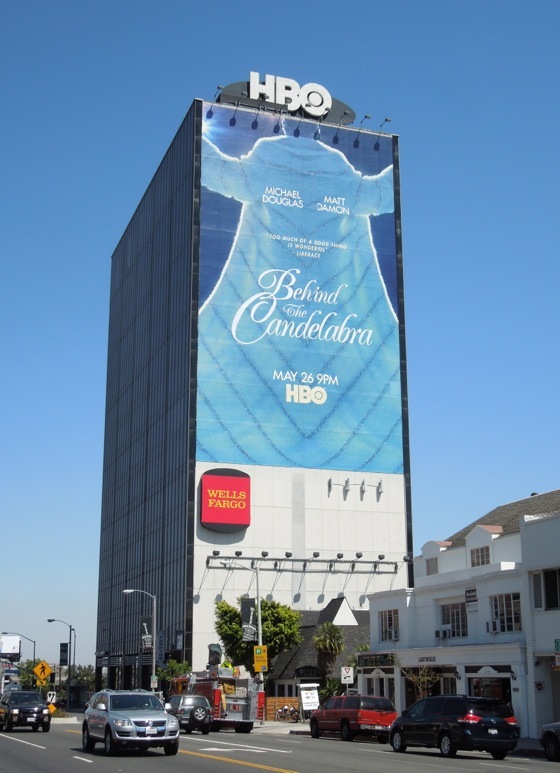 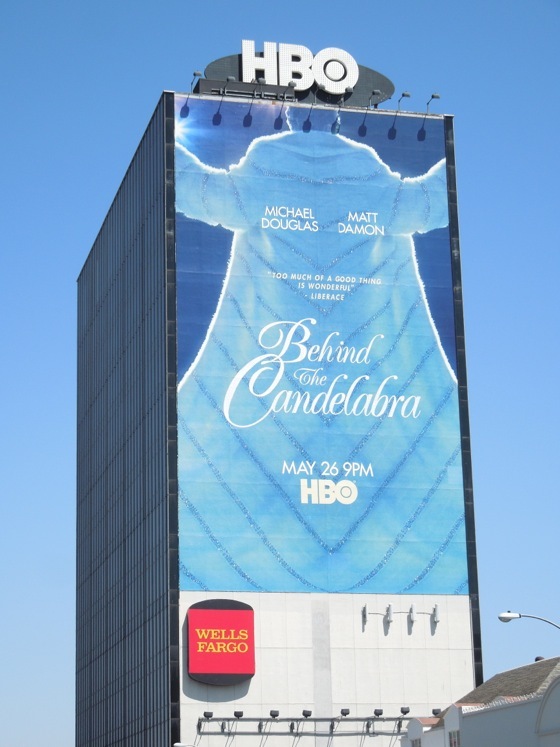 The giant-sized billboard looks simply stunning towering over L.A.'s Sunset Strip on May 2, whilst the equally arresting landscape creative was spied along Beverly Boulevard on April 29, 2013. 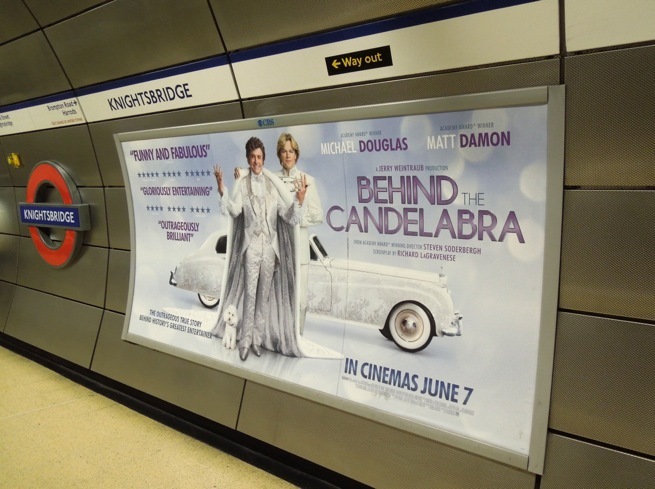 UPDATED: Interestingly Behind the Candelabra has been released at cinemas in the U.K. and has this much more overt and less subtle advertising campaign on London's Underground to support it. 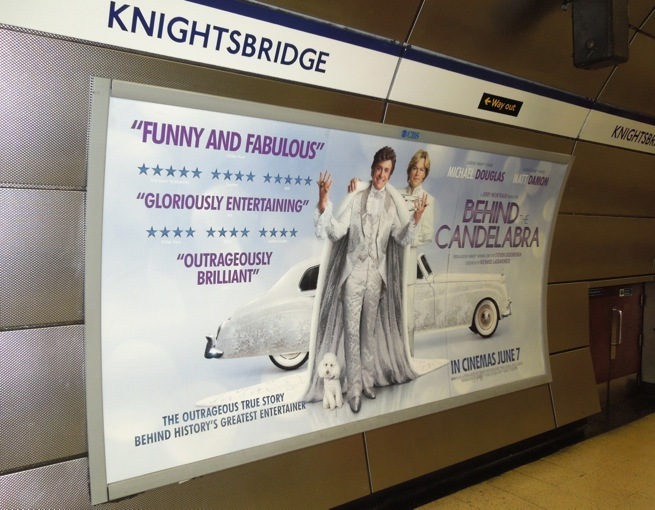 This fabulous flambouyant tube poster was spied at Knightsbridge station on May 25, 2013.